You can fill up the little princess’ and prince’s closet in style after a trip to Commercial Street. For the baby girls, Strawberry (on Kamaraj Road) and Little Tomatos are perfect for frilly frocks that’ll make the showstopper at the next party. For the baby boys, Doodlers, on the main street, is a great choice. If you are looking for smart casuals, then, stores like Max and Lifestyle have plenty for the kiddies. But if it is budget finds you have your eyes on, then head to Ebrahim Sahib Street. The complexes around Silver Plaza house plenty of shops that sell export surplus clothing for tiny tots. When you are on the lookout for bags that’ll up your baby’s cuteness quotient, drop by the newly-opened Coko Stores for their adorable Dino bags. Toy World is an excellent option for school bags that look great. You can pick up with one Barbies imprinted on them or rockets preparing to take off. If you aren’t looking to splurge, try the shop on Narayan Pillai Street, a little ahead from Surya Collection. Turn those tiny feet into happy feet! Chain stores like Max and Westside have rows and rows of shoes for the little one – from strappy, colourful sandals to shiny, slip ons. 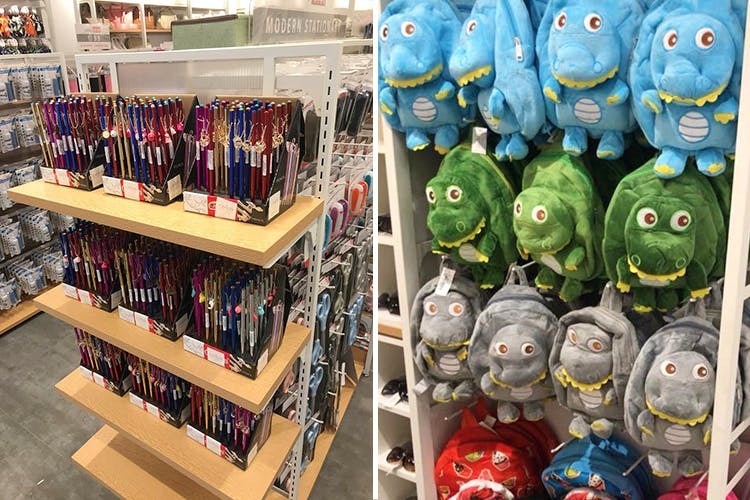 Toy World and Bata too are great options. But if you are prefer something on a shoestring budget, then, explore Veerapillai Street and its bylanes for palm-sized sneakers and princess-style shoes for INR 250 or less. Scour the bylanes of Commercial Street and you’ll be able to stuff your baby’s sock and accessories drawer to the brim. Near Sagar Chats, you’ll find mopeds piled with socks and monkey caps. Walk ahead (near the Masjid area) and you’ll spot stalls and tiny shops selling the cutes hair clips and bands for your baby girl. Stock up the playroom with the latest and coolest toys from, well, Toy World. At the edge of Commercial Street, near the Max store, you’ll find a couple of more shops for toys. If your baby is looking for a cool ride, then, hop over to Dickenson Road. Here, stores like Khan Trading Company specialise in cycles for kids of all sizes.